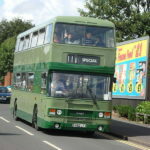 Set the location, and the First UK bus app presents some nicely tiled, Windows Phone-esque options. 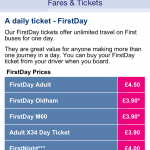 First Day prices in Manchester shown handily in the app. 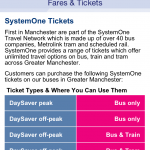 Manchester has a mass of options when it comes to ticketing - First's app does well to explain S1. 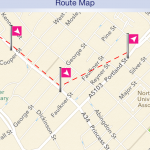 Screenshot from First's UK bus app showing a seemingly impossible bus route through central Manchester! Screenshot from First's UK bus app - which appears to show its number 8 bus floating across Salford! 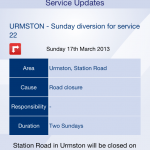 First bus diversions shown on the UK bus app. 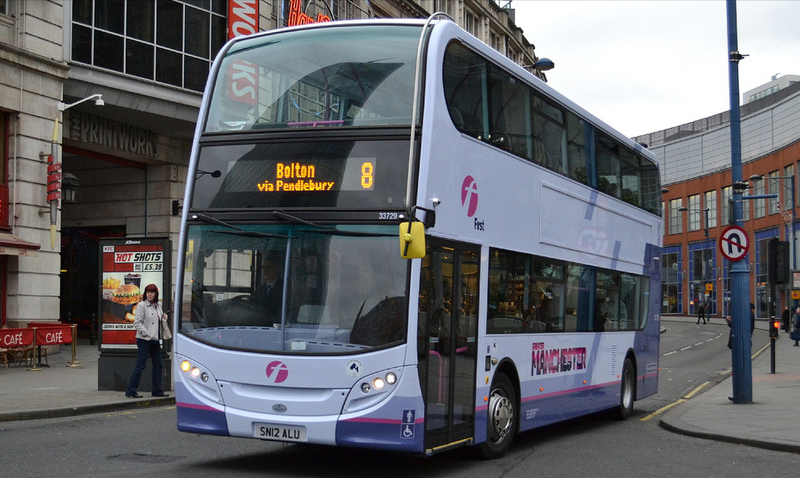 First UK bus launched a nationwide ‘First Bus’ app this month after trials in Hampshire. 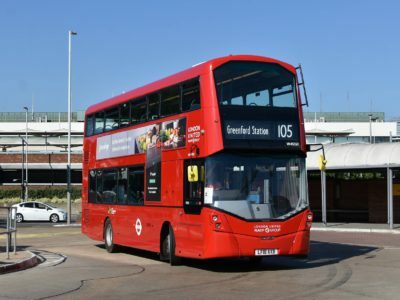 Transportdesigned tested their latest digital offering. On opening the app, ‘first’ impressions are, well…good! The app boasts an impressively quick response rate, taking literally milliseconds to load the home screen on our iPhone 4 (editor’s note – due for an upgrade soon…). This responsiveness continues throughout the app – maps, times and news load equally as quick as the app itself. On wifi, the download speed of information is impeccable – clearly, First had this in mind when ordering their latest batch of ‘wifi-equipped-as-standard’ vehicles. Graphics appear to be designed with speed in mind, and we suspect that download speeds will be almost as quick on 3G/4G whilst standing in the snow waiting for the number 8 to arrive. 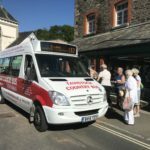 Brimming with features such as news, maps, fare information and real-time info (where available), First do seem to have packed an awful lot into an app which takes up very little in terms of phone-based memory. 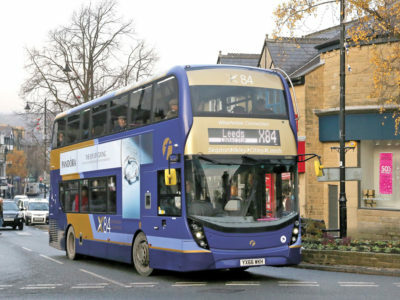 We particularly liked the ‘fares’ information within the app – we tested it based on the companies’ Greater Manchester operations, and the app impressively – and bravely – tried to explain TfGM’s System One fare structure, as well as First’s own offerings. Particularly useful if you’re a visitor to Manchester, and are baffled by the fares structure in the city. Sadly however, as with all modern technology, the app isn’t without its flaws – unless First have leapt into the 22nd Century and added hovercrafts and helicopters to that 464-vehicle order. As our screenshots above show, we tested First’s route 8 (Manchester – Bolton) for accuracy, and the maps do show some…interesting diversions taking place. 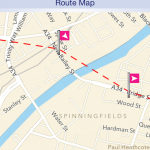 Spider Online (the developers) appear to have produced a simple ‘dot to dot’ of First’s stops along the route, and whilst this might not pose much problem in terms of usability, it makes the app look messy and half-hearted. And when zoomed out, some of the jumps (across fields and lakes) look practically ridiculous. There are also some coding errors within the app – a couple of times, it took us to a blank screen and as detailed on the ‘Wigan Sale’ screenshot above, there are random bits of HTML scattered here and there. Young, tech savvy users will no doubt recognise and ignore these inconveniences, but for those less tech-savvy, it could cause confusion – and again, makes the app look unfinished and half-hearted. 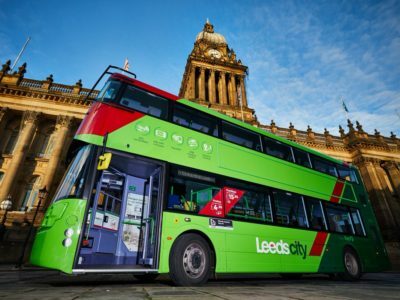 A small price to pay though for an impressive foray into making bus travel easier and more attractive to an ever more connected UK. 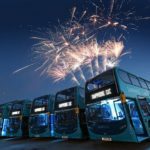 Other operators could, and should learn a lot from Firsts’ app – the majority of other apps out there in 2013 are slow, sluggish and thereby worthless when the customer is on the move. 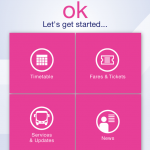 The speed and usability of First’s app is its real trump card – the bar has been well and truly set high for other operators. 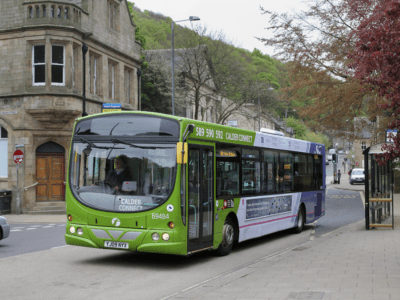 Have you used the First Bus app? What did you think? Comment below or tweet us – @transportdsn. Featured image credit: dwb photos on Flickr.